Quaid-i-Azam Mohammad Ali Jinnah was born in Karachi on the 25th December, 1876. His father, Jinnah Poonjah, was a big merchant of Karachi. Though a very rich merchant, Mr. Poonjah wanted to give good education to his son and keep him away from business. Mr. Mohammad Ali Jinnah received his early education in Karachi and Bombay. He passed his Entrance Examination in 1891. In his school days he was very painstaking in his studies. He observed the rules of discipline. He was also very punctual in attendance. All these pointed to his future greatness. For his good qualities, he was very much loved by his teachers and fellow-students. His father’s friend, Mr. Frederick Croft, discovered signs of a great in him. He advised his father to send him to England for higher studies. Accordingly Mr. Jinnah left England in 1892. There he was admitted into Lincoln’s Inn and obtained the degree of Bar-at- Law. Mr. Jinnah stayed in England for four (4) years. He studied the ways of the English people. He was very much impressed to find that all of them. rich or poor, loved their motherland. There he came under the influence of a patriotic Indian, Dababhoy Nooroji. After having successfully finished his education, Mr. Jinnah returned to India in 1896. At that time his father’s business was not running well. So to earn money for the family, he started practice in Karachi. But could not do well. He left Karachi and went to Bombay to try his luck there. Here, too, his practice was dull for three (3) years. At last, he accepted the service as Third Presidency Magistrate of Bombay. But he was confident that he would do was well as a lawyer. So he gave up the service after sometime and joined the bar. This time fortune smiled on him. Within a short time he was recognized as a distinguished lawyer. His fame spread far and wide. 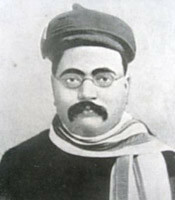 In 1905, Mr. Jinnah came in close contact with Gopal Krishna Gokhale. Mr. Gakhale was then the president of Indian National Congress. Soon he became its most important leader He was called the “Ambassador of Hindu Muslim Unity.” But he was disillusioned in 1930. For he then realized that the only object of the Congress was to Establish Hindu rule in India. He therefore, separated himself from the Congress. He devoted himself in organizing the Muslims. The Muslims were then at their lowest ebb-politically, socially and economically. His leadership kindled a new imagination among the frustrated Muslims. 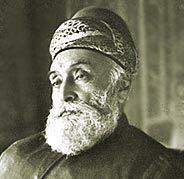 He created political consciousness among the Muslims of India. It was due to his guidance and leadership the Muslims regained their confidence. Each and every Muslim responded to his clarion call. And they, with on voice demanded a separate home-land for them. In 1940, the famous Pakistan Resolution was adopted. The struggle for Pakistan is a story of a continuous struggle against a host of obstacles and it was his guidance and leadership which provided for us a bulwark of strength at these difficult times. 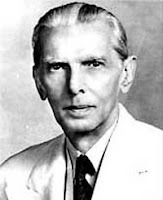 The creation of Pakistan was due to the untiring labor and zeal of Quaid-i-Azam. He won Pakistan by his irrefutable arguments. He is called the “Father of the Nation”. For like a father, he acquired a homeland for us.